Since they got first place on the Sports and Exotic Car list, and today seems to be double (or quadruple) feature day, here’s a pair of winners, at least in terms of quantity sold. Though scorned by many car nuts, and many sports car nuts, there’s a lot to be said for the Miata, both in terms of the revolution it started and its ability to be something to many people. You can pick up a new, relatively powerful Miata for up to $30K-ish, or a simple, light drive-a-slow-car-fast first-generation Miata for as little as a few hundred bucks. And in between, there are all kinds of permutations, stock, hot-rodded by owners, Spec Miatas, and factory hot rods. If you don’t want to spend a lot for a roadster and want a car that will last around 200,000 miles well-maintained, you really can’t go wrong with one. So yes, trusty for sure, and if you buy a snow-state Miata, you can have some rust too. For this episode, we’re focusing on a couple of owner-modified cars. 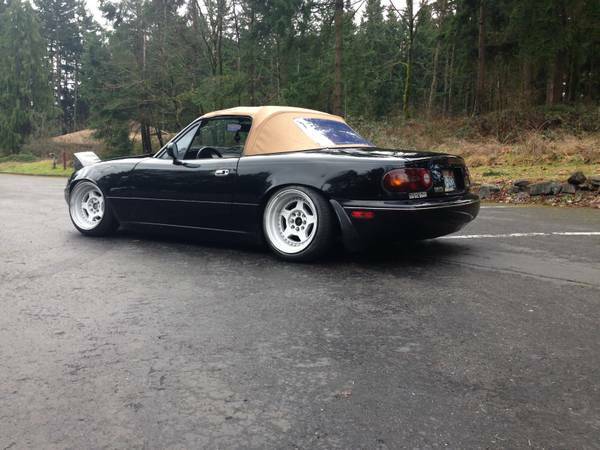 You can find our first one, this 1992 Mazda Miata turbo, for sale for $3500 in Tacoma, WA. For some reason, a recent search yielded a surfeit of Fiat sedans. You wouldn’t be blamed for thinking most of these cars had taken the “ashes to ashes, rust to rust” route, and there are usually only one or two for sale at a time in North America. However, right now there are at least 4 available, and it’s quite likely that some of the other 128s recently featured here are still available. The real score would be a small bumper 128, but those seem to have gone the way of Elvis (nobody’s sure if he’s dead, but occasionally some nut job claims to have seen him – the same statement applies in both cases). 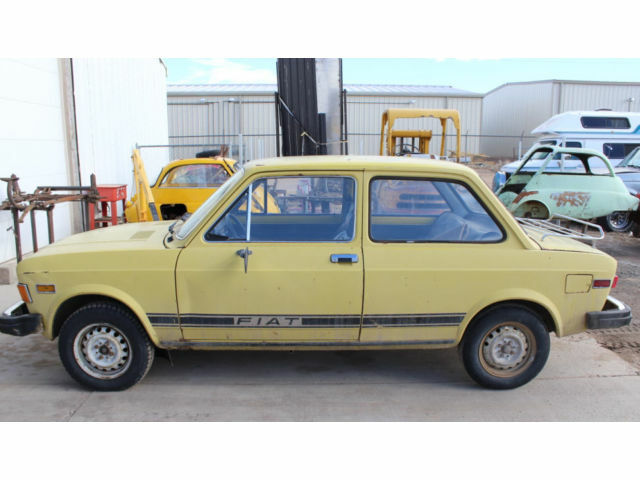 Check out this 1976 Fiat 128 2-door sedan for sale with bidding at $750 and two days left to go. Number nine on the Sports & Exotic Car roadster list is the Fiat 124 spider. As with its Alfa cousin (brother-from-another-designer? ), this Pininfarina/Tjaarda designed car is an underappreciated classic. While there are tangible differences between the Fiat and Alfa (Alfa uses a fancy cast aluminum hood release, for example), on a higher level these are both competent, comfortable roadsters with excellent, raspy twincam fours and five speed transmissions, as well as easy-to-use tops. 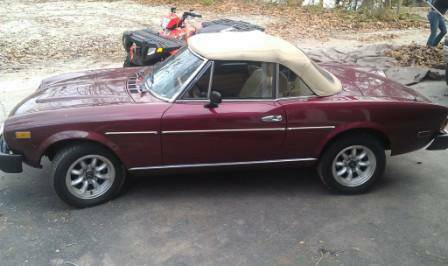 You can find this 1979 Fiat Spider 2000 (which, by its chassis code, is actually a 132) in Amherst, NH for $4000.